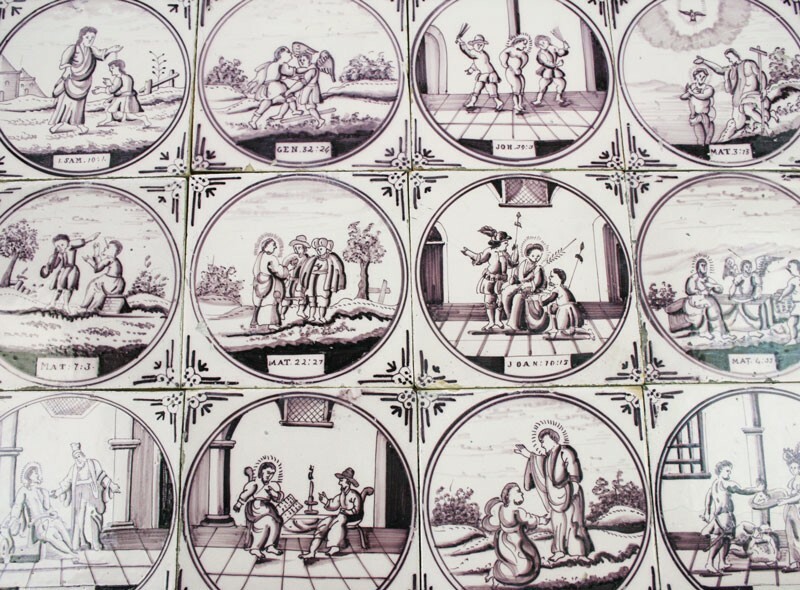 Wonderful antique Delft tiles with biblical wall tiles in manganese. 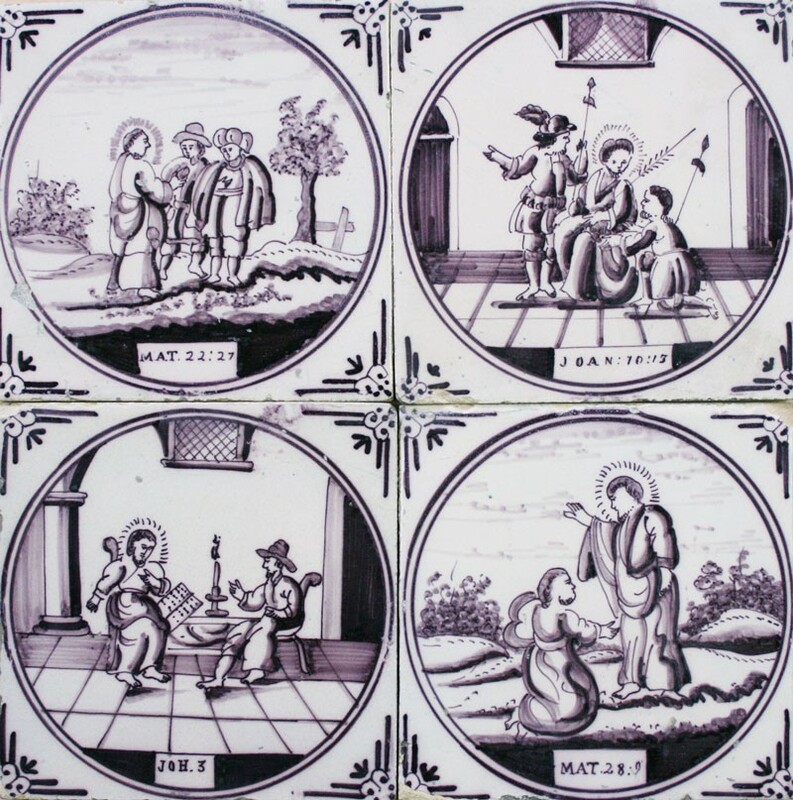 These original tiles date from the 19th century and were all painted and fabricated by hand. 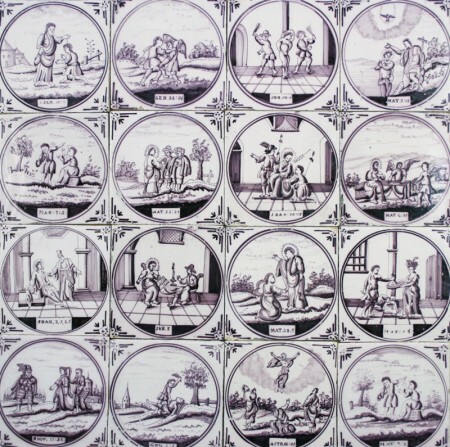 The tiles show a wide diversity of biblical scenes, of which several can be seen on the photos. These tiles can be great for restoration or (modern) interior projects, such as a hallway (wainscoting), fireplace, kitchen, livingroom and so on. Available in larger quantities. 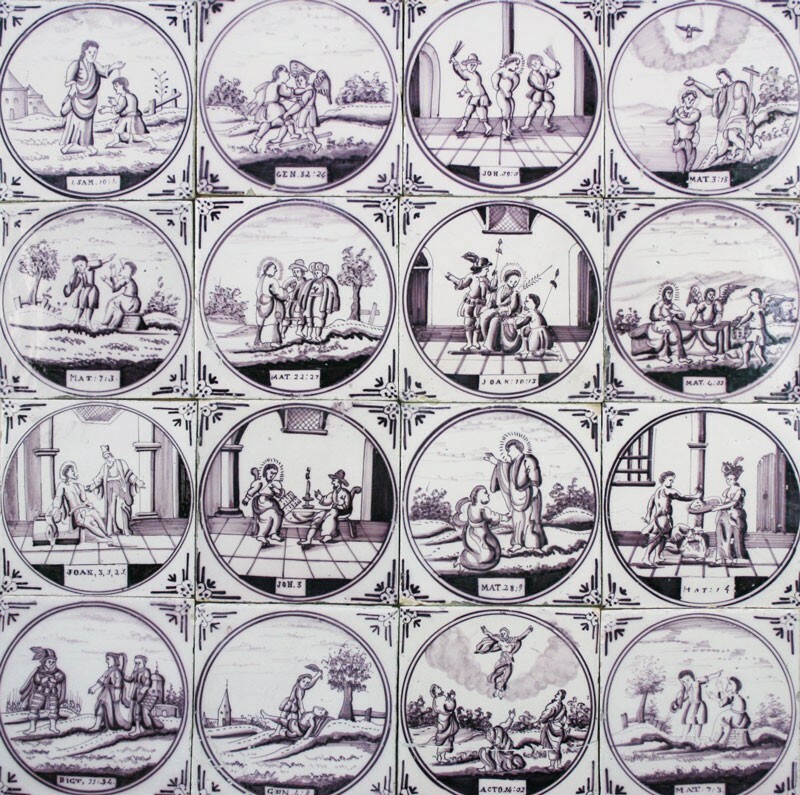 Samples of these wall tiles with figures are available. Please contact us by visiting our contact page or make a quote request.